As we celebrate this holiday season, we are reminded of what truly makes our university such a great institution – you, the more than 100,000 alumni members of our Vandal family. A great university is only as good as its alumni, and we are extremely proud of our wonderful Idaho alumni. Thank you for being passionate ambassadors who never fail to wave the banners of silver and gold with the pride and commitment rivaled by few institutions. This year is a privilege for me, as I was able to return to my alma mater. I am thankful to our alumni for your generous messages of support, as well as for your tireless involvement during the past year. 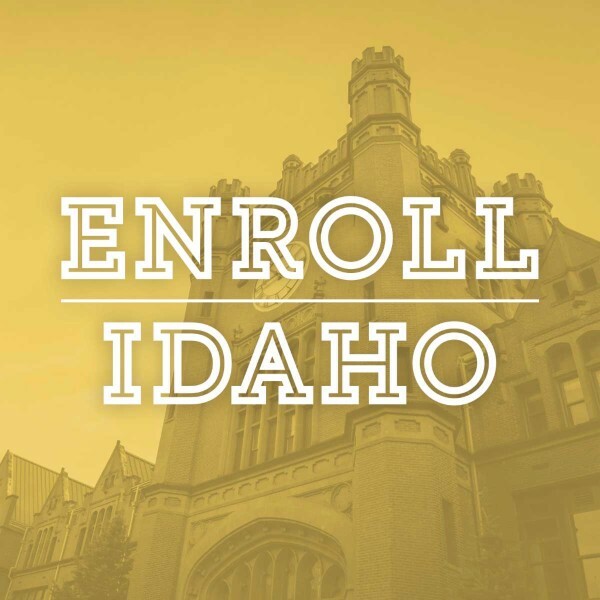 Your enthusiasm and support for initiatives including Grow the Gold, Enroll Idaho, Vandals in Partnership and much more help us achieve our mission of increasing enrollment, providing a transformative education for students, and building our team to best serve the state and region. The new year holds great things for our university as we stay steadfast in our conviction to foster lifelong education. 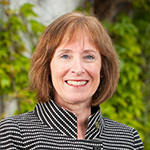 We are pleased to announce that Kathy Barnard, '81, has been named the new executive director of Alumni Relations. 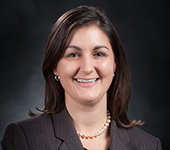 She brings more than two decades of higher education advancement experience to this role. Her strategic marketing and leadership experience will continue to foster our mission of promoting and deepening the lifelong, mutually beneficial relationship between alumni and the University. We hope you join us in welcoming her home. It’s an exciting time to be a Vandal. Please continue to stay connected with UI and the many alumni events, services and programs by visiting www.uidaho.edu/alumni. We wish you and yours a wonderful holiday and very happy new year. Four University of Idaho employees are among the Top 50 Idaho Business Review Women of the Year for 2016. Cori Mantle-Bromley, dean of the UI College of Education; Terri Muse, assistant dean for external relations at the UI College of Law in Boise; SeAnne Safaii-Waite, associate professor of family and consumer sciences for the College of Agricultural and Life Sciences at UI Boise and UI Coeur d’Alene; and Barbara Zanzig Lock, director of the Low Income Taxpayer Clinic and lecturer of tax law at the UI College of Law in Boise, are among the top 50 Women of the Year. Have you seen our new look? Make sure to stop by the alumni website and peruse the new design. Want to stay up to date with Vandal events in your area? Join an alumni chapter or club. The University of Idaho's Alumni Chapters and Clubs are organized, active groups of alumni and friends who promote the University of Idaho throughout the nation. We have 22 active chapters across the United States. 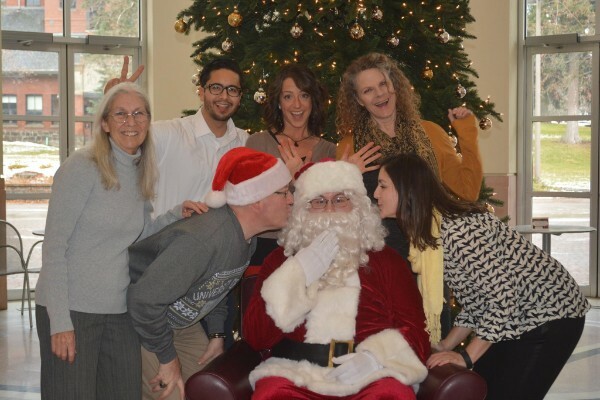 Happy Holidays from the Vandal Family - including Buddy Joe the elf - to yours! CLASS graduate and Idaho Vandals offensive lineman earns degrees in sociology, psychology. During his time at UI, the offensive lineman for the Idaho Vandals football team earned two bachelor’s degrees from the College of Letters, Arts and Social Sciences in sociology, with an emphasis in criminology, and psychology. He believes these will benefit his quest to help others realize and achieve their goals. Sandberg wrapped up his college athletic career in November, when the Vandals won their last game of the season 38-31. After graduating on Dec. 12, the Prescott Valley, Arizona, native hopes to pursue a professional career in football. 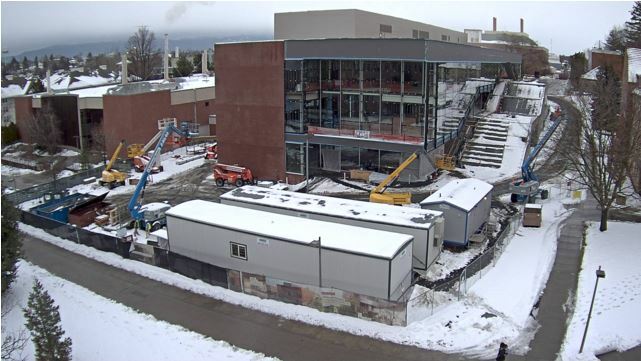 Inclement weather has not slowed progress on the UI Integrated Research and Innovation Center. Winter arrived just in time for finals! The arrival of chilly temperatures and flurries of snow reminds us that the winter holiday and start of a new year are just around the corner. We are pleased to share with you a new twist on an old tradition. Vandal Friday, the spirit event for students admitted to the university, is undergoing a transformation and reemerging as UIdaho Bound. In the spirit of the community that makes being part of the Vandal family so special, we would love to encourage the Vandal alumni community along these routes to display your Vandal colors, signs and memorabilia prominently. Whether at your place of work, home or appropriate property, please cheer students on by sharing your school colors March 26 – April 25, 2016. Interested in learning more? Need to refresh your Vandal gear? We would love to hear from you! Please direct any questions or ideas you might have about paving the road to UI in Silver and Gold to Whitney Schroeder. Thank you for continuing to make the Vandal family great. 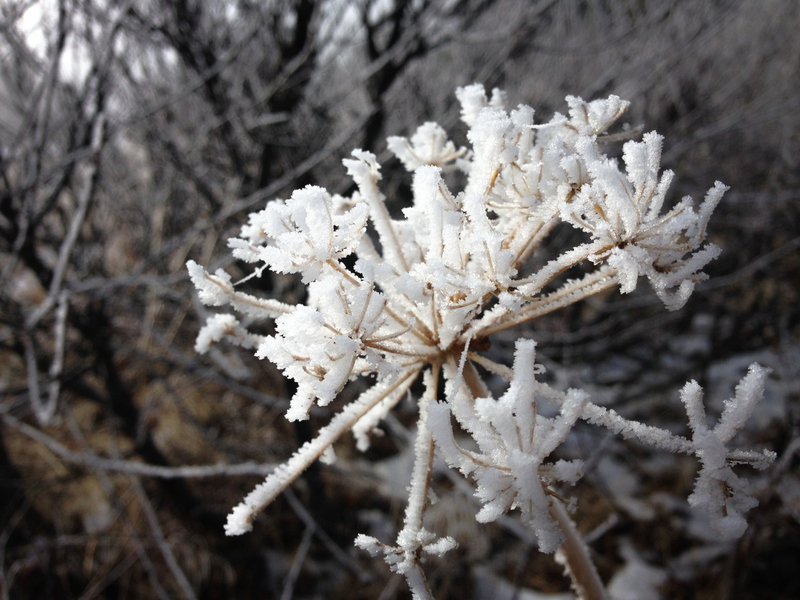 A beautiful frost covered the Palouse last week. UIdaho Bound is the event for new students admitted to the university for the upcoming academic year. The event officially welcomes the fall 2016 class of Vandals and their families to the university and provides the opportunity to forge a relationship with the UI community through early class registration, campus activities and a Moscow-community block party. Students may choose to attend the event on either April 2 or 23, 2016. As a way to celebrate the renaming of the event and the larger journey in life that these future Vandals are undertaking, event participants traveling to Moscow will be invited to participate in an interactive road trip. 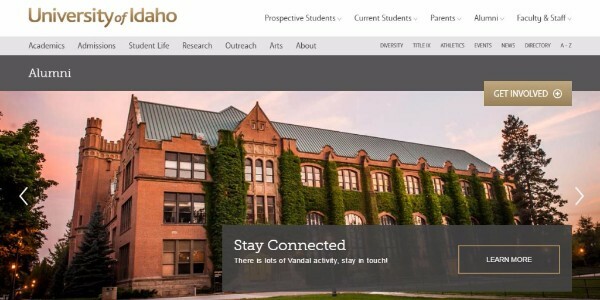 Utilizing the #UIdahoBound hashtag on Instagram, Twitter and Facebook, students can check in at various points of interest identified along the aforementioned routes to the University of Idaho. Students are encouraged to take pictures to commemorate their road trip and share their experiences being bound for UIdaho. UI's student-run radio station, KUOI, is celebrating 70 years on campus today. KUOI first hit the airwaves on Nov. 12, 1945, and now broadcasts 24 hours a day and features more than 40 DJs, most of whom are current UI students. You can listen to KUOI 89.3 FM on your radio or through livestream at kuoi.org, or follow the station on Facebook. Don't miss out on some very Vandal gift ideas from Vandal Brand Meats. Each basket is filled with items made locally by students in the Department of Animal and Veterinary Science. The annual Borah Symposium strives to bring together world leaders, diplomats, scholars, activists and our local communities to discuss the causes of war and the conditions for peace. The three day event will focus on humanitarian action in the 21st century. The University of Idaho this month is launching a public poetry project — Vandal Poem of the Day — to bring relevant, contemporary poetry to UI students and the broader community. The poems will be published daily at poetry.lib.uidaho.edu. Vandal Poem of the Day receives support and funding from UI’s College of Letters, Arts, and Social Sciences, the University of Idaho Library and the Idaho Humanities Council, a state-based program of the National Endowment for the Humanities. Join fellow Vandals and friends to cheer on Vandal men's basketball as they take on WSU. On the eve of the Thanksgiving holiday, we wish to extend our appreciation to you – the more than 100,000 alumni of the University of Idaho. We are exceptionally proud of our alumni for all that you have achieved and your continued representation of our university throughout the country and around the globe. We are honored to have such a committed and engaged alumni community so deeply invested in the well-being and continued growth of the Vandal family. Your participation in this year’s initiatives such as — Enroll Idaho, Grow the Gold — as well as your financial generosity in support of student success, were crucial to helping us achieve our mission as Idaho’s land-grant, research university. We also know that your day-to-day carrying of the silver and gold is what motivates students to join the Vandal tribe. Best wishes to you all for a very happy and healthy holiday. 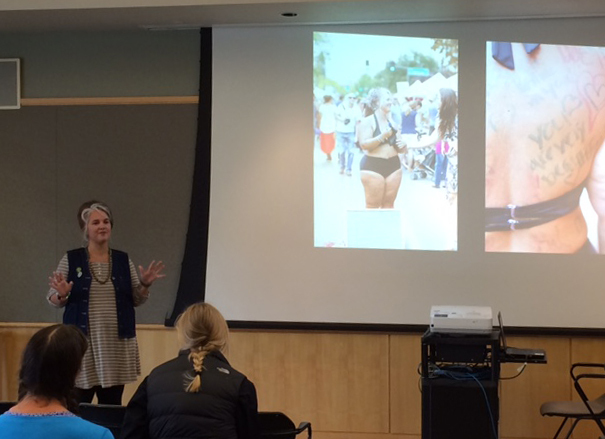 On Nov. 18, Amy Pence-Brown brought her message of self-love and acceptance to the University of Idaho campus. Pence-Brown spoke in several classes as well as held a public brown bag forum. Click here to learn more about her work as a "fat activist." Meet your Alumni Relations staff. Give us a call or stop by the office, we love to hear from our alumni and are happy to help you get the information you need. Oversees all alumni events, coordinates alumni engagement in the student recruitment process, oversees the Student Alumni Relations Board (SArb), the Homecoming Committee, the Graduates of the Last Decade (GOLD) Program and various alumni chapters and clubs. 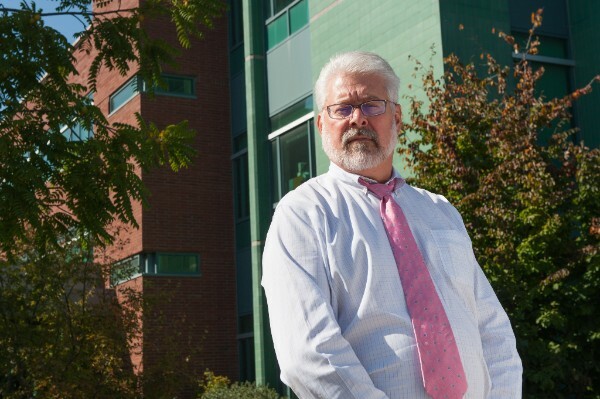 "My favorite aspect of my job is the great people I get to work with," Helmke said. "From the amazing volunteers and alumni to our awesome staff who all make it so easy to come to work each day and give my best to our alma mater. Go Vandals!" Assists with various chapters and clubs in organizing and planning events in their specific areas and to identify opportunities to spread Vandal Pride. Oversees and plans on campus reunions for Greek Chapters, the Golden I Reunion and academic programs. "Growing up surrounded by Idaho Vandals I always knew I wanted to to the UI," Duncan said. "It has been a dream come true to continue with my passion as a Vandal and turn it into a job that allows me to meet and interact with our passionate Alumni every day. Go Vandals!" Assists with various chapters and clubs in organizing and planning events in their specific areas and to identify opportunities to spread Vandal Pride. Plans away game football tailgate events. "I am blessed to have a job that I love going to every day," Larsen said. 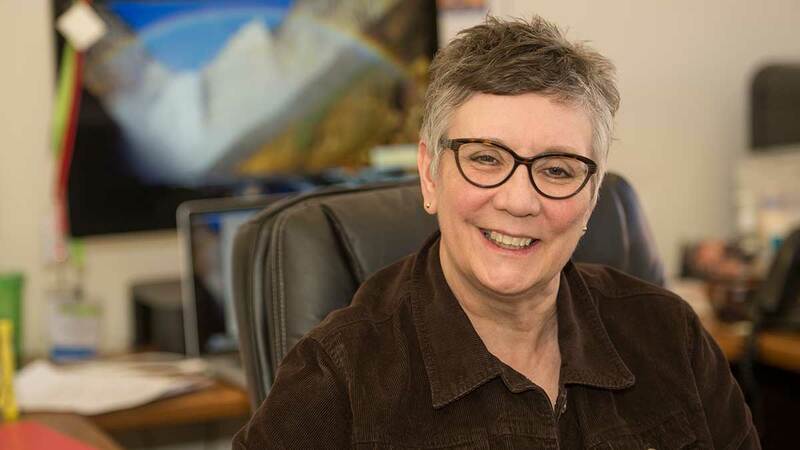 "There is an indescribable passion and connection that University of Idaho alumni have towards their alma mater and I love that I get to be a part of that every day. Go Vandals!" Responsible for the planning and execution of marketing strategy for university-wide fundraising and supports the Office of Alumni Relations and UI Alumni Association marketing initiatives. 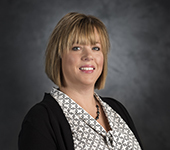 "Having worked in university advancement for the past 15 years at a couple of Idaho institutions, I'm truly impressed by the pride Vandal alumni have in their alma mater," Gauss said. "Each alumni that I've had the privilege to meet, and often interview for our marketing efforts, speaks so highly of the university and their time here. Being a catalyst to help share their stories with other Vandals is one of the highlights of my work at the University of Idaho." Helps with event coordination, social media marketing, produce marketing content and write feature stories. Assists with the production and content of the Vandal Ambassador Network monthly newsletter. "I enjoy meeting and writing about passionate people who do extraordinary things for the University of Idaho and the world at large," Nishimoto said. Maintains the Alumni website and online social media presence on Facebook and Twitter. 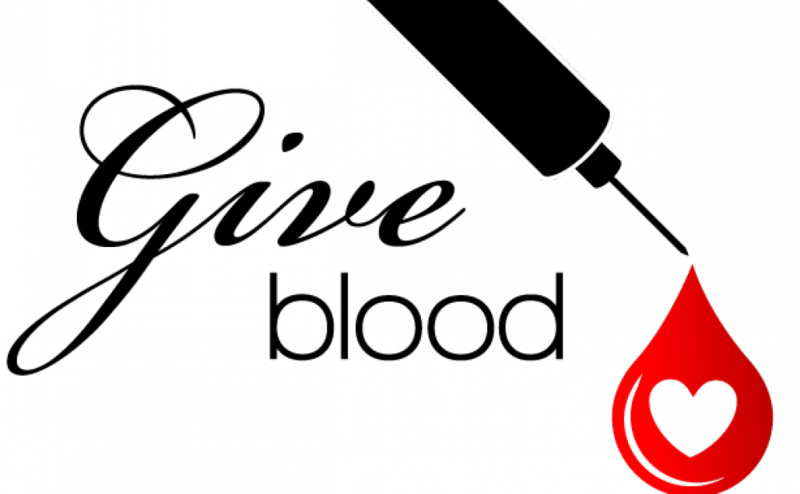 Produces marketing content, writes feature stories and assists with various communications tasks. Produces the bi-weekly VandalVibe newsletter. "One of the aspects of this job I enjoy the most is interacting with alumni and retirees," Schroeder said. "The Vandal family ties run deep and I love getting to hear their stories." Manages budgets for the Office of Alumni Relations and the UI Alumni Association, processes travel claims, pays bills for OAR, assists with finding lost alumni and is the assistant to the Director. "I enjoy working with alumni to find their old classmates and working with the other employees of the Alumni Relations Office," Shea said. 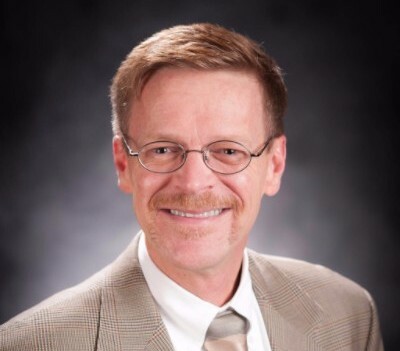 Manages all things commencement regalia, primary point of contact for OAR customer service, manages event RSVPs, compiles award nomination materials, administers the SArb fundraiser "Hugs from Home" and much more. "Customer service is at the heart of all I do," Vanderschaaf said. "I am privileged to get to congratulate our future alumni on their accomplishments as they celebrate and prepare for their commencement." 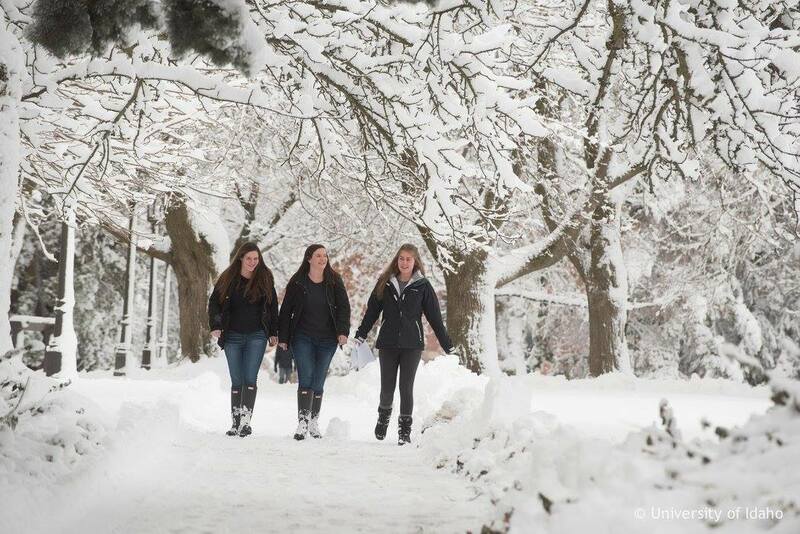 Dec. 1 is #GivingTuesday: On this day, please consider the University of Idaho. Our goal this year is to encourage our generous donors to gift $10,000 toward the University of Idaho General Scholarship Fund in support of our mission to provide a transformative education to student Vandals. 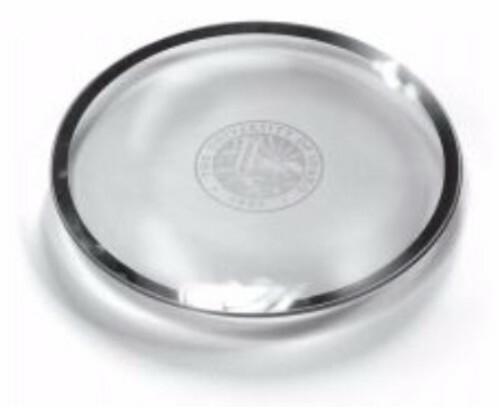 All gifts are tax deductible and provide the needed support of our need and merit based scholarship recipients. Mark your calendars and please consider the University of Idaho on Dec. 1 for your philanthropic contribution. Gifts may be made online here. The Grand Challenges Explorations (GCE) initiative funds individuals worldwide to explore ideas that can break the mold in how we solve persistent global health and development challenges. Sheng’s project is one of more than 50 Grand Challenges Explorations Round 15 grants announced today by the Bill & Melinda Gates Foundation. For all Vandal fans wearing Vandal gear, your first tub is free courtesy of the Puget Sound Vandal Boosters. Join your Vandal alumni and friends for every Vandal game of the 2015 season at Life of Riley Tavern. Join your Vandal alumni and friends for every Vandal game of the 2015 season at Caddyshacks. Join your Vandal alumni and friends for every Vandal game of the 2015 season at the Twin Falls Sandwich Company. Join your Vandal alumni and friends for every Vandal game of the 2015 season at The Gathering Place. 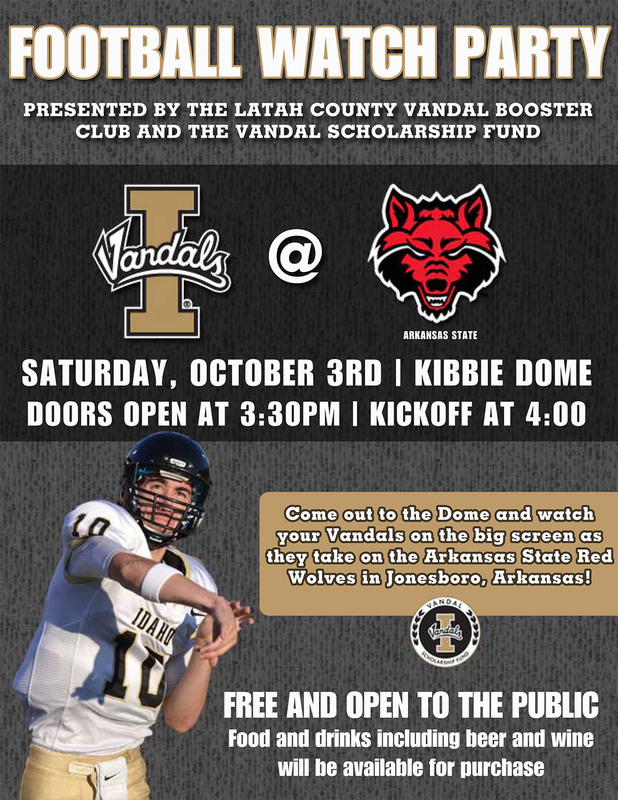 Join your Vandal alumni and friends for the remaining Vandal games of the 2015 season. On this day we pause to give thanks and to commemorate the brave soldiers who served selflessly for us in order to achieve liberty and sovereignty. The University of Idaho Office of Alumni Relations would like to join the nation in saluting veterans for their sacrifices for our protection. The University of Idaho has four outstanding ROTC units on campus: Army, Navy, Air Force and Marines. Every year, students from these programs graduate and go on to serve this country. 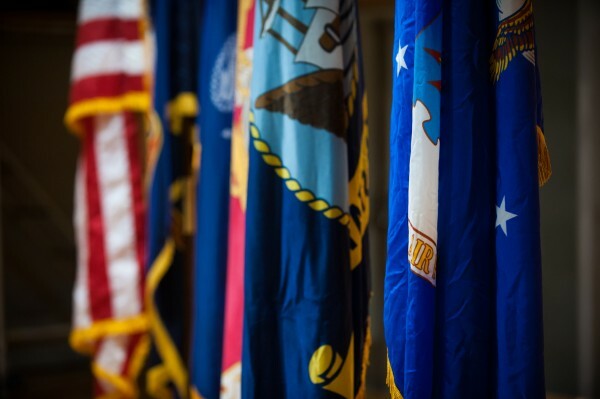 Those who leave military service continue their tradition of service by pursuing new careers, filling important roles required for a successful society. We are proud of our veterans and our alumni and encourage you to join us not only on this day, but throughout the year to thank veterans for their heroic example and dedication to the American way of life. 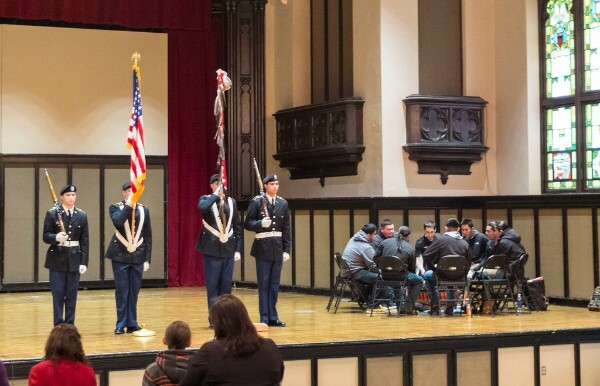 The UI Native American Student Center hosted an Honoring our Veterans Sunrise Service early this morning. A drum circle, prayer, speakers and an eagle feather added to the Eagle Staff commemorated the memory of those who have served. 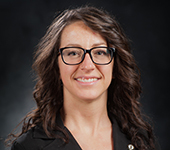 Employee Elaina Perry joined the University of Idaho in January of this year and has a deep-rooted passion for encouraging students to attend college. When she graduated high school in the 90’s, she was not sure what she wanted to do. No one in her family had gone to college. She lived with her mother, had several siblings she helped care for and was extremely poor. Yet she still dreamed of college. "If I did go to college, who could help me figure it out?" Perry said. "How would I pay for it? It seemed hopeless." Perry says she struggled through early adulthood but managed to obtain an associate’s degree from a community college. In 2000 she became a public servant as a firefighter and paramedic. 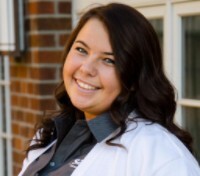 In 2012 she was able to pursue her dream of a bachelor’s degree, completing it in business management in 2014. "Even at 40 years old, I felt extremely emotional, proud, relieved and inspired to finally complete it," Perry said. "I am the first person in my family to obtain a college degree. Now I want a master’s!" Through her experience, Perry believes that the best thing we can do is encourage kid to go to college. "We can inspire them," Perry said. "And for those we inspire, our commitment to help them navigate the process of getting in the door will be critical." Do you know a future Vandal? "I encourage other vets who may think that they can't go to school to reconsider, because it's not true. If they come to the University of Idaho, and put in the time and effort, the university will support them in all their endeavors. After Iraq, I took a chance on the University of Idaho, and it's made me a better person." The University of Idaho Veterans Assistance Office exists to help students apply for and receive VA education benefits whether a service person, guardsman or reservist, an active duty veteran, or a dependent of a veteran. Want to learn more? Contact VAO here. The University of Idaho will be celebrating Native American Heritage Month with events throughout the month of November that celebrate and honor the political and cultural contributions of Native peoples both past and present. This year's Native American Heritage Month Keynote Speaker is award-winning comedian and motivational speaker Tatanka Means. The VandalStore is here to help you stock up on all your Vandal gear for the holidays. 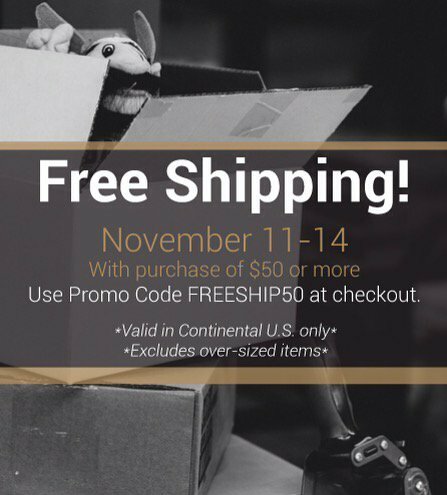 Order now through Nov. 14 and get free shipping on orders totaling $50 or more. Doctoral student Jens Hegg’s interest in the Amazon and the catfish began when he visited Brazil a number of years ago. Since he has a limited research budget, instead of returning to Brazil for this project, he is collaborating with Tommaso Giarrizzo, a faculty member at Federal University of Pará in Brazil. Since the 9/11 attacks I had felt I had a duty to serve. I went to my local recruiting office and enlisted in the Army. I really enjoyed the people I worked with, they always challenged me to be better. 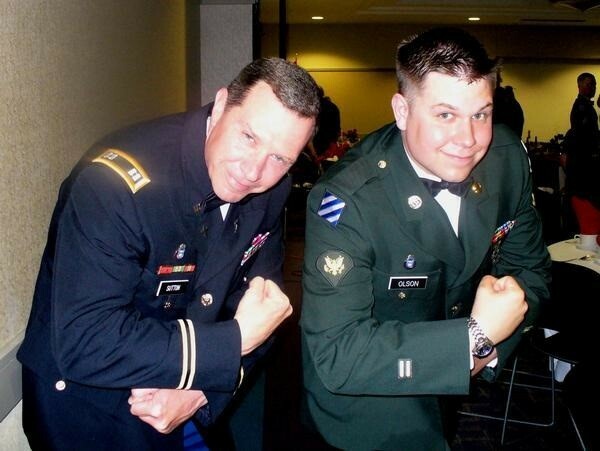 I intended to continue a career in the Army, but sustained a back injury in a car wreck while serving in Baghdad, Iraq. College was always in the plans, so I decided to pursue that course after four years of military service. Serving in the Army helped me to help others and allow others to help me. I didn’t take an ounce of college for granted. I tried to be involved in as many things as possible, from attending sports to various student activities to Greek life. I remain in touch with some of the people I served with. I value their leadership and opinions and they continue to encourage me to better myself. I chose to serve in the military because I was looking for new challenges and opportunities. I competed and gained a slot at Air Force Officer Training School. During my tenure at college I served in Air Traffic Control. The University of Idaho was an affordable choice with a solid communications school and respected business college. Join your Vandal alumni and friends to cheer on the Vandals as they take on the Auburn Tigers. 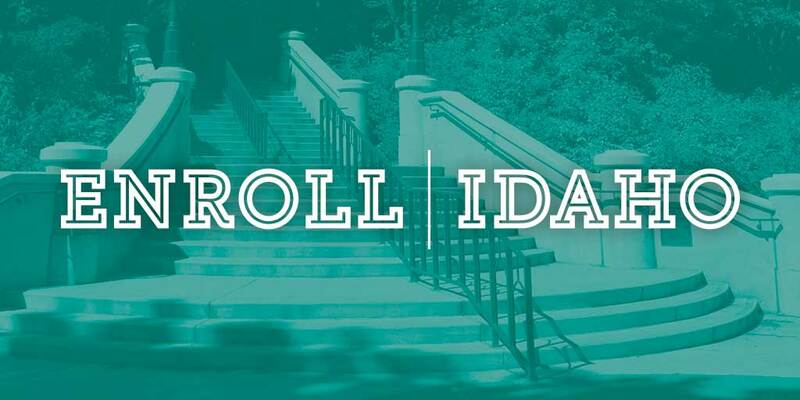 Previously we introduced the Direct Admissions initiative and statewide Enroll Idaho event aimed at helping students enroll in college. We are pleased to announce that 43 locations across the state will be holding enrollment events. These informational sessions welcome high school juniors and seniors, their families and friends and high school officials to learn about the value of higher education and how to pay for college, as well as programs offered by UI. "Direct Admissions changes the conversation from 'Should I go to college?' to 'Where should I go do college?'" said President Chuck Staben. "We want every college-ready student to know early in his or her senior year of high school, 'Yes, you can go.'" In an effort to continue to Grow the Gold, we would like to ask our alumni to continue to share this information with future Vandals and their families. 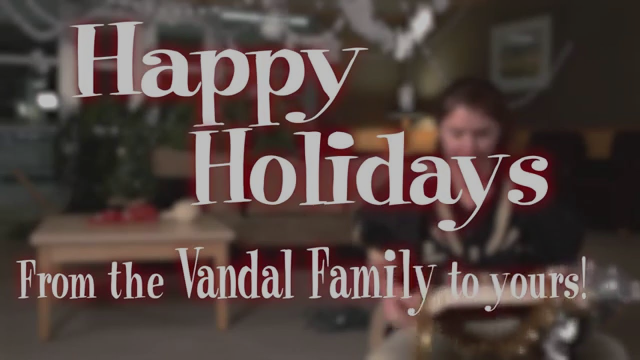 We appreciate your support and enthusiasm for the continued growth of the Vandal family. 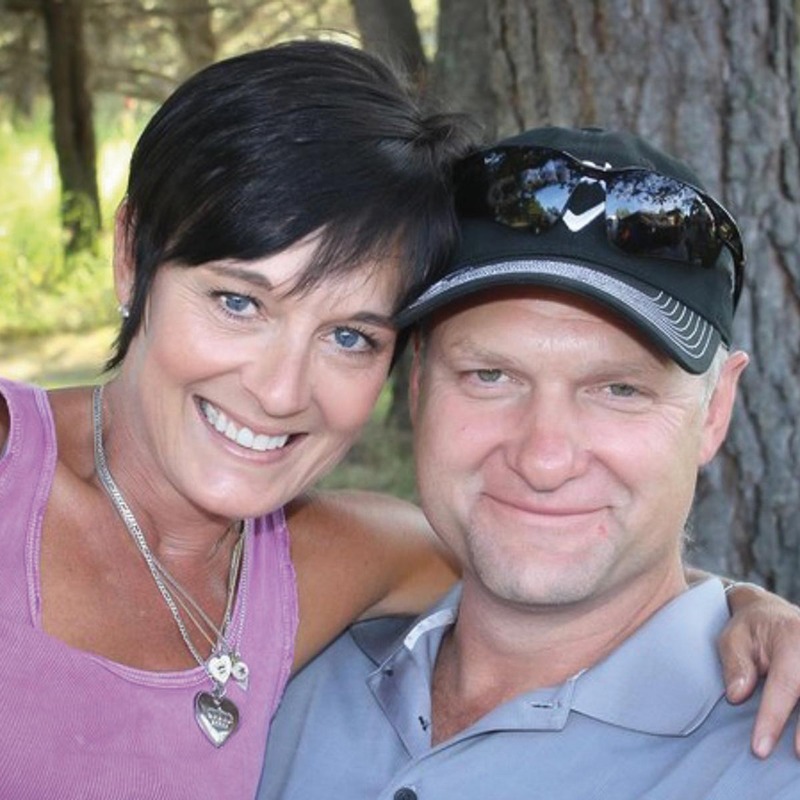 Honoring 2015 Idaho Treasure award recipients Tom and Jo Ann Trail. Vandals in Partnership or "VIP" is a program designed to tap into the enthusiasm and experience of alumni volunteers to make a difference for undergraduate student enrollment. The VIP programs utilizes the Grow the Gold program, something many of you are familiar with. Grow the Gold asks alumni to nominate students for admission to UI, kicking off a relationship between a prospective student and the University. The new VIP program goes beyond Grow the Gold, giving alumni volunteers the chance to get involved in undergraduate student recruitment at whatever level of commitment makes sense for them. Want to share your personal story with prospective students at recruitment events? Want to get involved with UI admissions and alumni representatives to discuss approaches to recruitment? Want to really get involved by participating in panels at events, meeting one-on-one with students, or attending college fairs and other events as a UI representative? We want to use your time and talents. 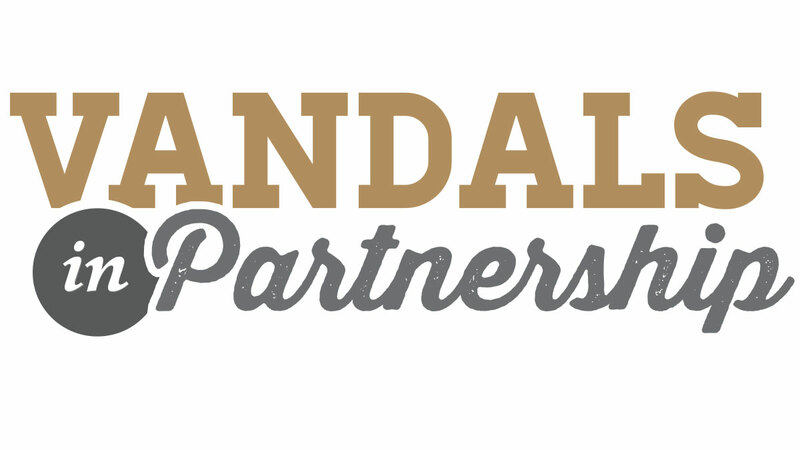 Your first step is simply visiting the Vandals in Partnership website for more information and to sign-up. VIPs will receive a packet of information about being a volunteer recruiter, and we’ll work with you to provide all the material you need to represent your university. Matt Lefferts, a 3-D generalist at FuseFX, awoke before 5 a.m. July 16; he was too excited to sleep. It was the day Emmy nominations would be announced. Several months earlier his company informed him that work he and his coworkers had done on the FX show “American Horror Story: Freak Show” was being submitted for an Emmy. His excitement was merited – his group was nominated for Outstanding Special Visual Effects in a Supporting Role. On Sept. 12, 2015, Lefferts and his coworkers took home the prize. 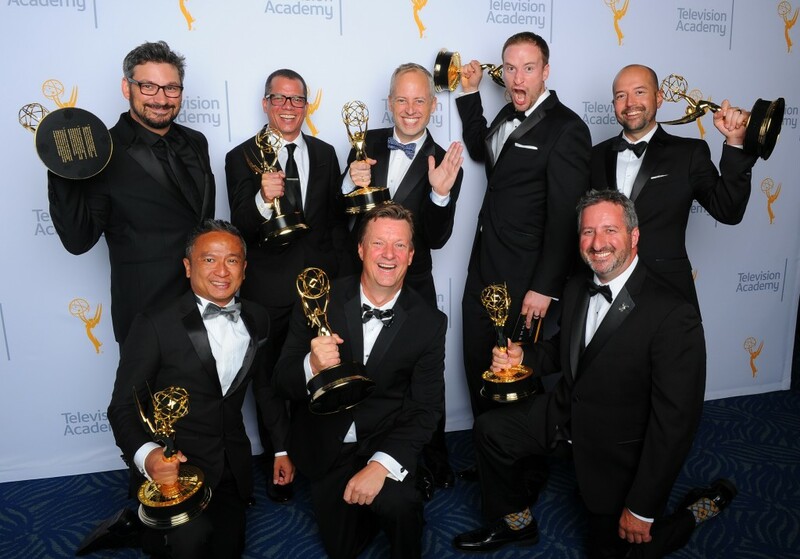 A thrilled Matt Lefferts (standing, second from right) and colleges after winning an Emmy for Outstanding Special Visual Effects in a Supporting Role. A native of Portland, Oregon, Lefferts career as an artist began at age 12, when he began digital drawing, creating detailed schematic drawings in Microsoft Word. He was fascinated by special effects, mesmerized by behind the scenes footage for “Star Wars,” “Transformers” and other films pushing the boundaries of digital creation. “I thought that would be the coolest job ever,” Lefferts said. As a freshman mechanical engineering student at UI, Lefferts enrolled in an art class. At the end of the semester, his instructor gave him a poor grade because she thought he’d downloaded his art from the Internet. When he explained that they were images he had created in Word, she sent him to the Virtual Technology and Design (VTD) department in the College of Art and Architecture. 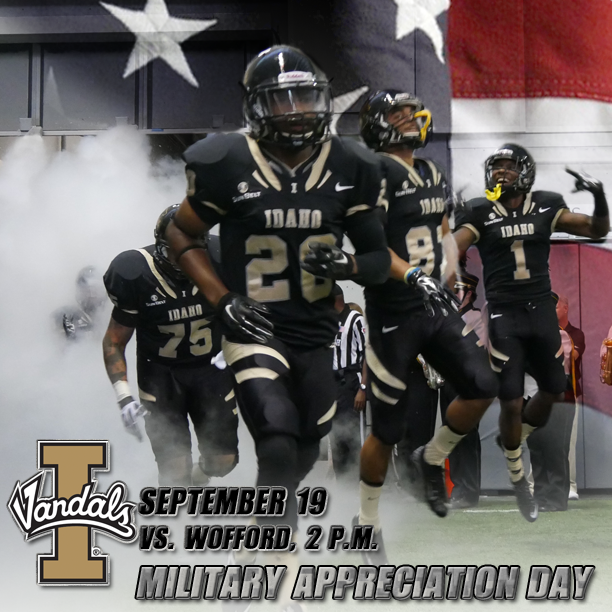 Vandals, alumni and friends celebrated a Hero's Homecoming last week. It was a time where everyone came together to honor the heroes in our lives and in all of us. Businesses along Main Street in Moscow partnered with students to paint downtown with Vandal pride, 4,200 pounds of food was collected for local food banks, 51 units of blood were donated by the Vandal community, 110 groups participated in the parade and we celebrated a Vandal football victory. Not able to make it this year? 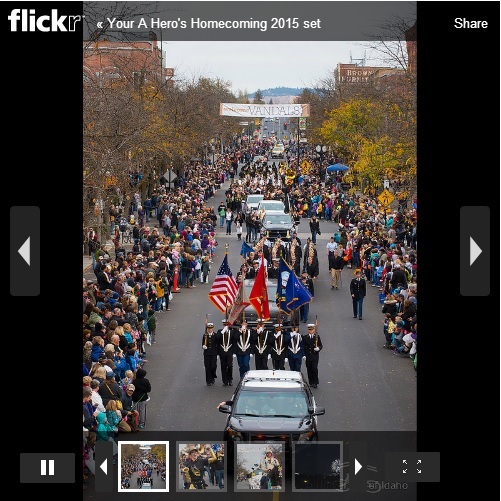 Enjoy the slideshow below and stay tuned for 2016 Homecoming dates. 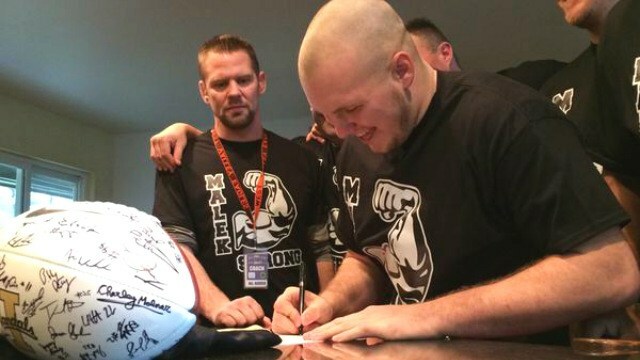 When the University of Idaho decided to honor fullback Jace Malek’s football scholarship following his cancer diagnosis, they chose to honor more than a Spokane, Washington, student-athlete. Harvest is over, the sky is crisp and clear, and the leaves have turned to their spectacular fall showing. 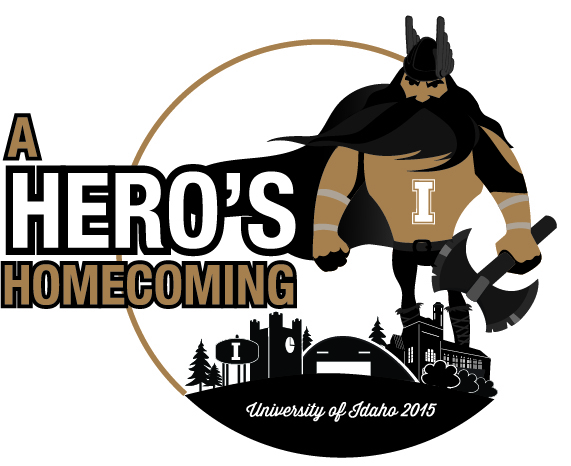 The changing season ushers in yet another Homecoming week at the University of Idaho. On behalf of the University of Idaho Alumni Association (UIAA) board of directors I want to welcome the many alumni, parents and friends traveling back to campus to enjoy the highlight of our fall semester and the camaraderie of other loyal Vandals! The UIAA board, a group of national and in-state directors, will meet over the weekend and continue its work on several programs and services, most notably the Alumni Awards and Recognition program. Each year the board undertakes the process of honoring alumni and friends that have distinguished themselves while at the same time brought recognition to the University of Idaho. We look forward to honoring the inductees over this next academic year at several events around the state and region. Further, the UIAA board will begin working closely with the Office of Alumni Relations (OAR) to identify and set new alumni priorities as we welcome Mary Kay McFadden, vice president for Advancement, and a new alumni executive director. While we are excited about the new perspective and energy that the transition in leadership will bring, we want to thank and wish former OAR staff Steve Johnson and Hugh Cooke the best in retirement. Whether it’s in downtown Moscow watching the parade, reliving memories with friends at the afternoon tailgate, or cheering the Silver & Gold to victory in the Dome, please enjoy one of our finest annual traditions, homecoming. After 17 years of service, Hugh Cooke '74, '77, '02 will be retiring from the office of Alumni Relations on Oct. 30, 2015. We would like to thank Hugh for his years of dedication and wish him well in retirement. 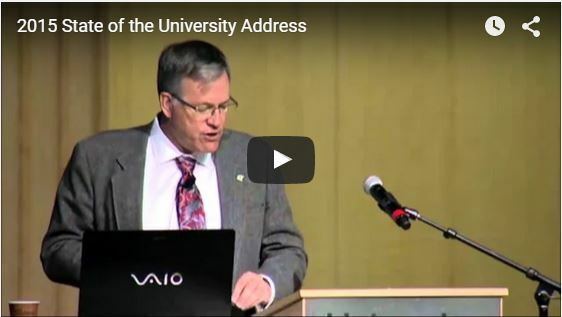 Did you miss President Chuck Staben's State of the University address Monday? Watch the video to hear his vision for the future success of the University of Idaho. 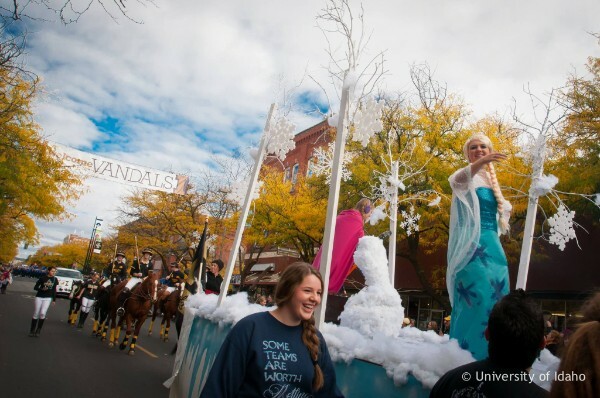 Welcome Vandals, to the 107th University of Idaho Homecoming! The Homecoming Committee is excited for this year's theme, A Hero's Homecoming. The committee is a student-run organization consisting of 21 students from various backgrounds, majors and ages. We unite over our love for our university and its many unique traditions that span generations. We volunteer our time to produce the best possible events for our students, alumni and friends of the university. 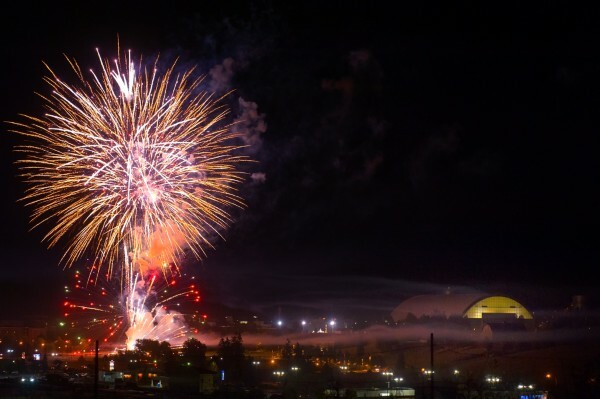 Some of our favorite traditions include the kick-off scavenger hunter, Vandal Jingles, community window painting, serpentine and bonfire, the Latah Federal Credit Union Fireworks Extravaganza, and the 107th Best Western Plus University Inn Homecoming Parade. We are thrilled to celebrate the heroes in our lives by honoring the 2015 Grand Marshals representing the four ROTC units on the University of Idaho campus - Army, Navy, Air Force and Marines — as well as their commanding officers and support staff. Representatives from each unit will march in the parade on Saturday morning. The Homecoming Committee would like to express our appreciation for the hard working armed forces that keep us safe each and every day. Join us in honoring these hero's as we celebrate another memorable week of Homecoming festivities. View full schedule of events here. Join fellow Vandals and Alumni for a campus photo scavenger hunt. Meet in the VandalStore Plaza. 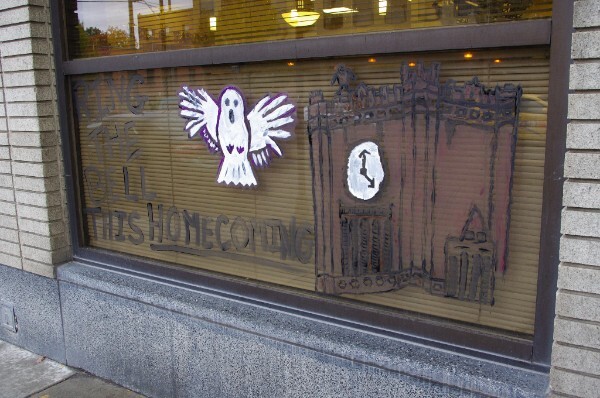 Join fellow Vandals for the second year of window painting in Downtown Moscow. Participate in the 65th Annual UI Blood Drive, the first collegiate blood drive in the nation. TLC Lounge. 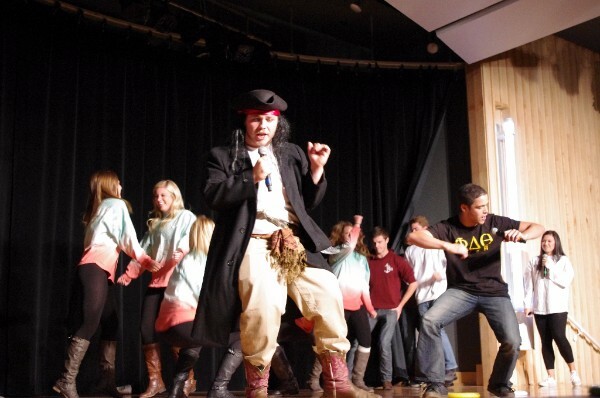 Watch as students show off their singing and dancing skills in Vandal and Homecoming themed skits. Pitman Center International Ballroom. 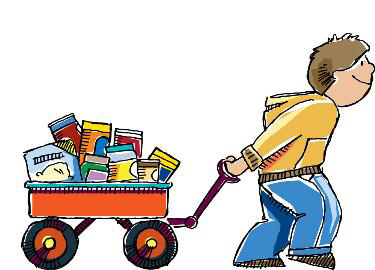 Students will collect food for St. Mary's Food Bank, the Vandal Food Pantry and supplies for Alternatives to Violence of the Palouse. Join the Serpentine led by the Sound of Idaho Marching Band, gather round the bonfire and watch the Latah Federal Credit Union Fireworks show. Conclude the evening with a synchronized LED light show on Theophilus Tower. Enjoy the Vandal spirit as the parade travels main street led by Grand Marshals representing the four ROTC units on campus — Army, Navy, Air Force and Marines. Make sure to stop by the Idaho Fan Zone before cheering the Vandals on against ULM! We are excited to have graduates of 50 years or more joining us on campus. Wednesday, Oct. 21 to Saturday, Oct. 24 alumni in their Golden I will participate in a variety of activities including campus and building tours, lunch with colleges and administrators, celebration social and dinner, and Homecoming events. A UI Career Center advisor is coming to Boise and Coeur d'Alene to meet with alumni about career options. This service is available to you as a benefit of being a graduate of the University of Idaho. Take this opportunity to discuss things such as career assessment, resumes and cover letters, interview strategies, salary negotiations, graduate school and more. Appointments are on a first-come, first-serve basis. 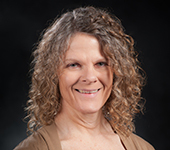 Contact Angie Sowars at asowers@uidaho.edu or (208) 664-7013 to schedule an appointment. Contact Sandy Schultz at schultzs@uidaho.edu or (208) 334-2999 to schedule an appointment. Wear your silver and gold and join the Puget Sound Vandal Boosters and University of Idaho Alumni Association for some Vandal football action. Wear your Vandal gear and receive special drink prices during game time: $2 off all pitchers, $1 dollar off all pints, $2 off glass of house wine, $1 off well cocktails. In August, the Idaho State Board of Education passed a proposal allowing automatic conditional admission of resident high school seniors to Idaho colleges and universities. This policy is intended to streamline the admission process, removing barriers for students interested in attending college. In support of this, an event called Enroll Idaho will be held on Nov. 10. Hosted by University of Idaho Extension offices throughout the state, along with UI admissions, administration and faculty representatives. High school seniors, their families and friends are invited to attend and learn about the educational options UI has to offer as well as ask any questions about the direct admissions process. Details about this event will be forthcoming. 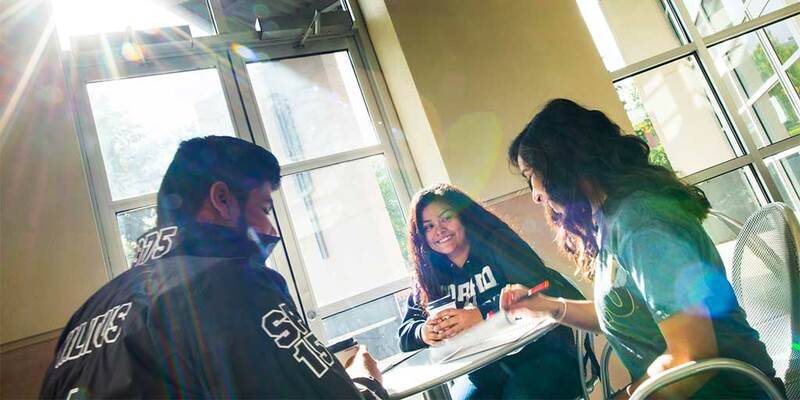 At the university, there are 124 unique majors - 85 undergraduate, 63 master's, and 31 doctoral degrees, including the state's premier law program and 2 specialist majors - offering no shortage of possibilities for young people to pursue their future. Vandal grads go on to make a difference in communities around the world; for this reason and many more, we are proud of our more than 100,000 alumni. In an effort to continue to Grow the Gold, we would like to ask our alumni to share “why Idaho?” Why is the University of Idaho such a special place to you? Why would you encourage a potential student to become a Vandal? On Oct. 12 we will begin Motivation Mondays, a social media campaign we invite you to be a part of. By sharing the following graphic with your quote and the hashtags #MotivationMonday and #NextStepsIdaho on your social media networks on Mondays, you will be joining the state of Idaho, University of Idaho and other alumni in laying the groundwork for a student’s journey towards career goals and lifelong success. Let the UI Career Center connect you to employers. The Career Center at the University of Idaho brings highly qualified Idaho students and graduates together with local, regional and national employers for internships, jobs and career experiences. Career Center services are available to Idaho students and alumni for a lifetime. Don't miss upcoming fall events. Don't miss out on this years homecoming events. It was always expected that alumnus Lee Schatz ‘74 would attend college. As the first born son of a farming family on the Rathdrum prairie, he would become the first generation in his family to pursue a higher education. 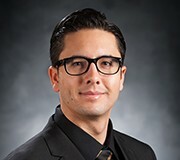 His father wanted him to become an engineer, so after graduating high school, Schatz enrolled in North Idaho Junior College, the predecessor of North Idaho College (NIC). In-between school years, Schatz worked for the forest service, a job that would not only pay for his education, but also shape his future. 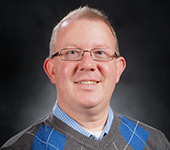 Encouraged by the advice of his coworkers, Schatz switched his major. After his sophomore year at NIC, Schatz transferred to the University of Idaho to complete an undergraduate degree in business, continuing on to complete a master’s in agriculture economics. Lee Schatz outside the UI Agriculture Sciences building. One course from his time as a master’s student continues to stick out in his mind. It included students from a variety of different countries, including Argentina, Taiwan and Ethiopia. The course required students to read and discuss case studies. 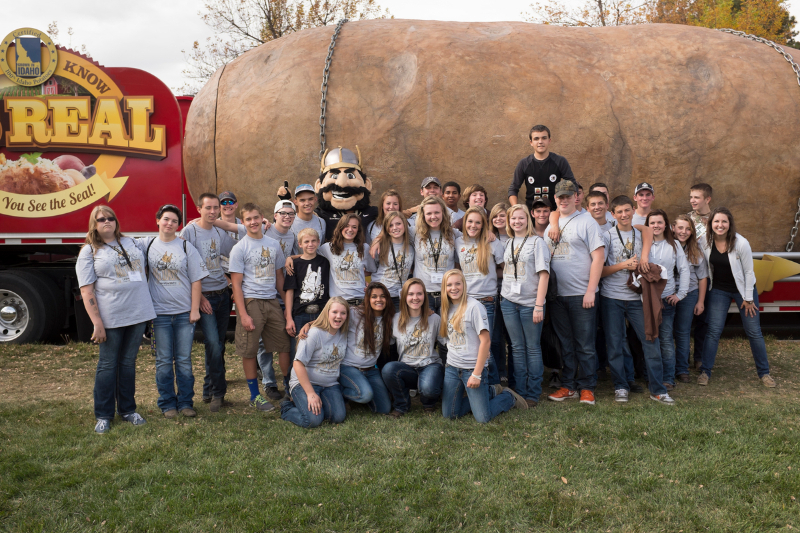 Schatz visited the University of Idaho for the screening of the film as part of the Ag Days activities in September. During his visit he spoke to students and provided honest advice for future graduates. “The key is having fun, enjoying what you do,” Schatz said. But he admonished students to also always be ready for change, because it will happen. He also suggested a bit of a slowdown. This is where he values his undergraduate experience. For Schatz it was easy to go to community college, a natural transition to the University of Idaho. He was able to live at home and explore options for his future before committing to a bigger program. For him, college was a way to broaden his world, to make it bigger. 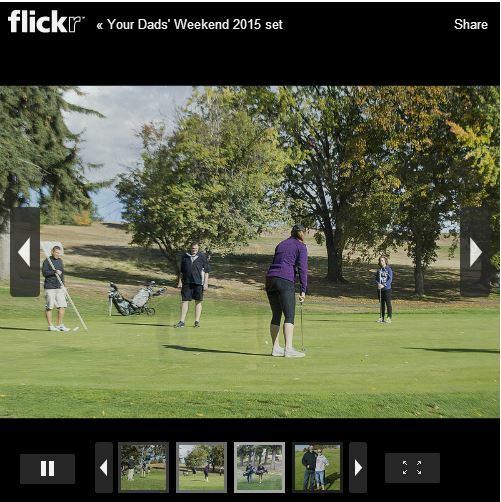 Vandals and their dad's enjoyed a range of activities this past weekend. 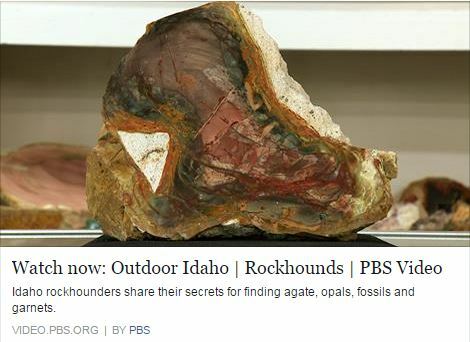 The most recent episode of Outdoor Idaho, written and produced by alumna Melissa Davlin features the incredible 15-million-year-old fossils at the Clarkia Fossil Bowl. Episode includes insights from UI botanist Dave Tank and adjunct geology faculty member Bill Rember. A team of University of Idaho researchers will spend the next year refining their unique technology so it’s ready to take the leap from the lab to the marketplace. A new program from the M.J. Murdock Charitable Trust, the Commercialization Initiative, granted more than $55,000 to help UI physics professor David McIlroy and chemistry professor Frank Cheng, both of the UI College of Science, prepare their high-surface-area electrodes for commercial licensing. The UI President’s Office has provided additional funding for the project. 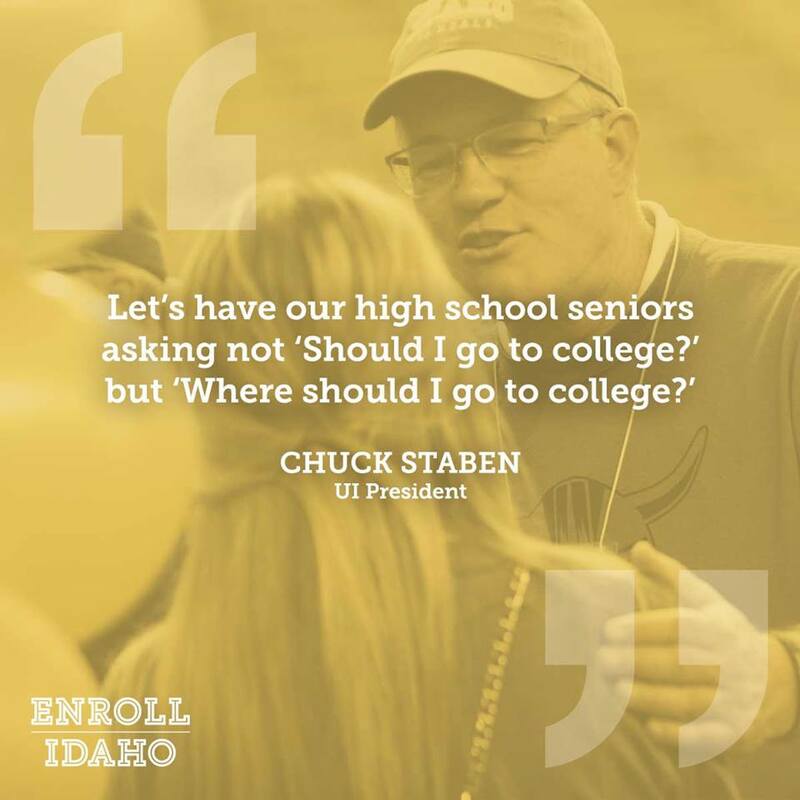 In a previous issue we highlighted an article about President Chuck Staben and his enrollment priorities. In this issue we would like to ask: Do you know a future Vandal? The Office of Alumni Relations is heading into the third year of its Grow the Gold initiative. We know that Vandal grads go on to make a difference in their communities in an array of professions. We are more than 100,000 alumni strong and Grow the Gold provides the framework for you to help usher in the next generation of Vandal leaders. 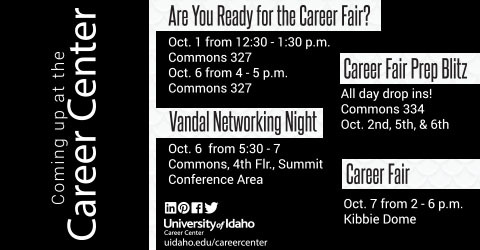 The university also has a variety of interactive events this fall that provide future Vandals with opportunities to experience the University of Idaho campus, cultivate ideas for multiple career paths and majors, and enjoy a Vandal Game Day. We look forward to seeing all the future vandals and alumni at these events. No matter where you are, you can show your appreciation by providing free football game tickets for area active and former military members and their families. 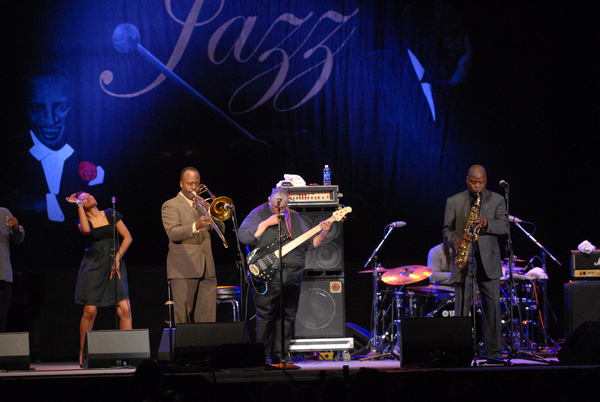 Tickets are offered at a discounted price of $12. Seattle resident and University of Idaho alumnus David Neiwert ’84 may have started his college career studying biology, but he switched to English after becoming fascinated with writing. 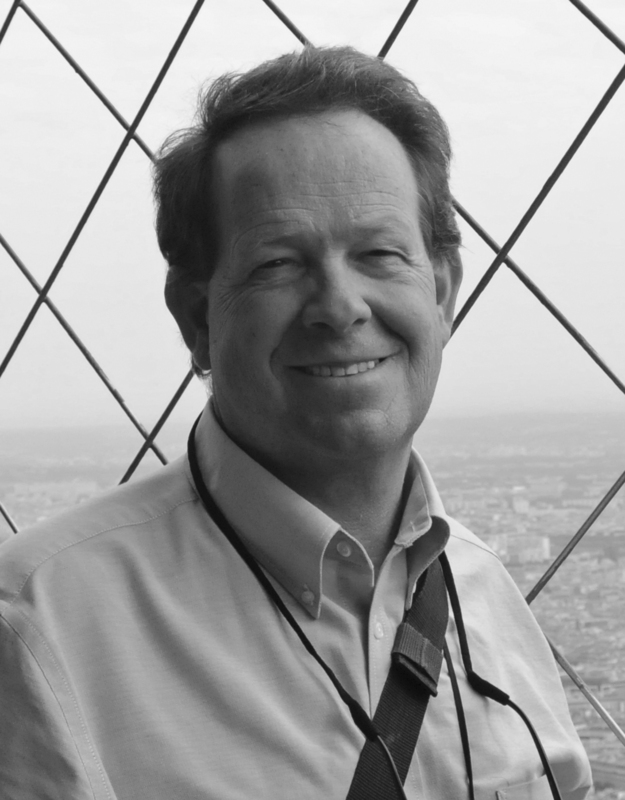 A former editor of the Argonaut, who also worked part-time at the Idahonian — now known as the Moscow-Pullman Daily News — Neiwert spent several years writing for different newspapers in Idaho, Montana and Seattle, with a brief stint with MSNBC in late 2001 before he became as stay-at-home-dad and began blogging as a creative outlet while his baby slept. Neiwert visited his alma mater in September to share his experience with students and promote his new book. 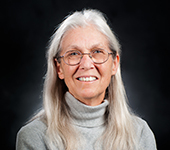 Neiwert believes that writing and critical thinking skills taught at UI are imperative to student’s future professional careers. 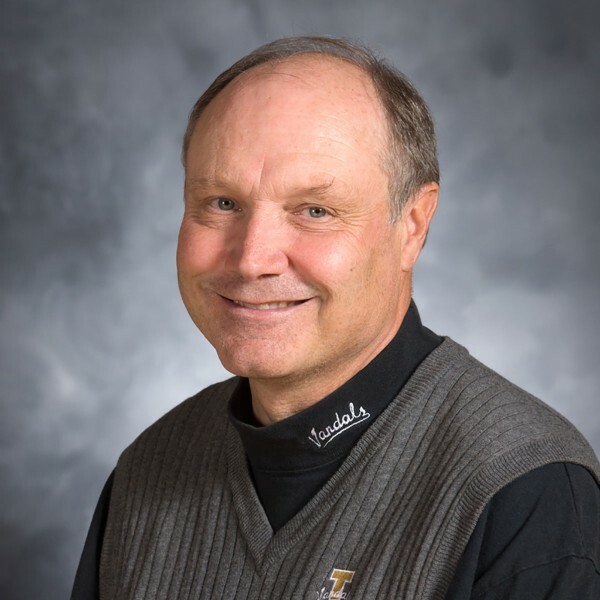 In some ways, Neiwert is a testament to the education he has received at UI and believes wholeheartedly in giving back by sharing his knowledge with others. “I love Moscow, I love the UI, and I just think it represents what higher education is supposed to be about,” he said. “It’s not about the prestige or the degrees, it’s actually about making us better people by educating students in real ways." On Saturday, Sept. 26, high school students can participate in an array of activities. Be sure to get your tickets ahead of time! We can't wait to show future Vandals the University of Idaho. 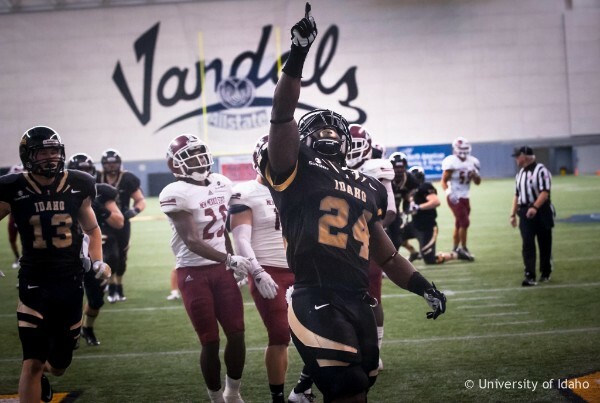 The University of Idaho Vandal Marching Band invites all high school band members to the 12th Annual Future Vandal Game Day on Saturday, Sept. 26. This event begins at 1:30 p.m. and is for band students in their junior or senior year. Visit the University of Idaho campus and experience collegiate music, national caliber academics and university life first-hand. 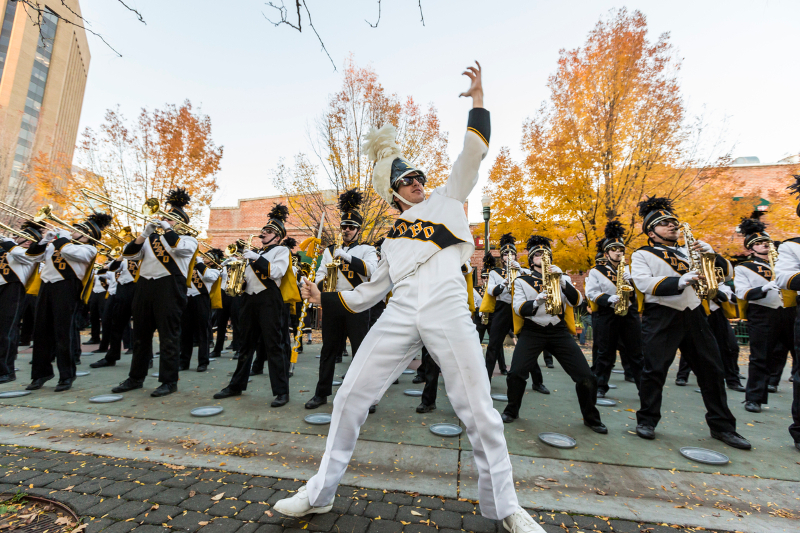 The University of Idaho Alumni Association will be hosting a pregame luncheon for visiting band students. Ag Days started 37 years ago as a homecoming of sorts for current students, faculty, staff and alumni of the University of Idaho’s College of Agricultural and Life Sciences. They have gathered on campus each fall for Ag Days to enjoy a barbecue, watch football and visit with college-era friends and faculty. 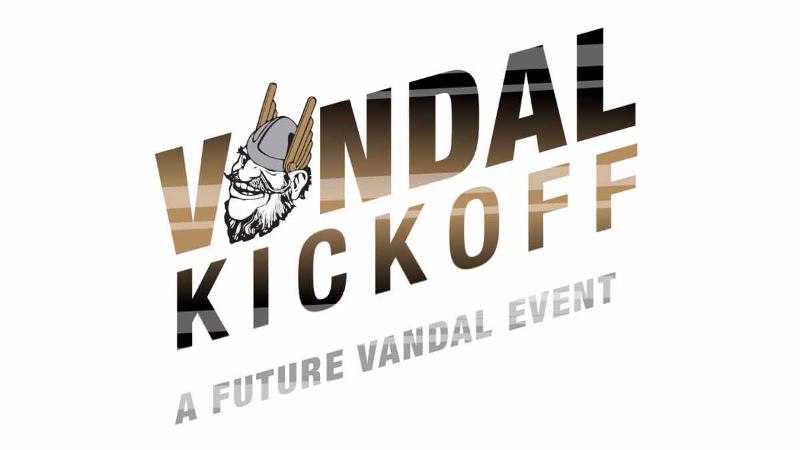 This year's events, coinciding with other Vandal Kickoff events, are Sept. 25-27. How do you show your Alumni Vandal pride? 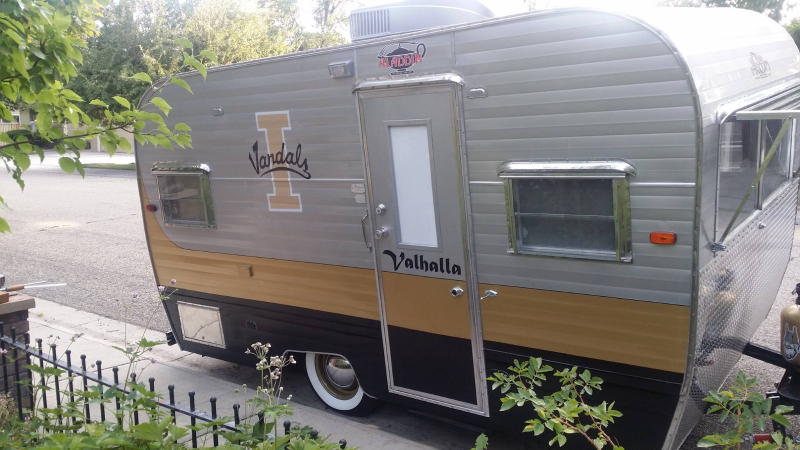 This 1967 camper was remodeled in Vandal style by alumnus Jeff Warner '79. Share your Vandal spirit on our Facebook page.